Punta Cana is covered the best in Lonely Planet Dominican Republic & Haiti. You want to make sure you grab the latest 5th edition from November 2011. You can buy paperback or kindle edition of this book. Additionally you can also download the whole book or various chapters as pdf. Offers detailed coverage of all the best attractions and clear maps. The National Geographic Traveler guidebook is an easy read with colorful photographs and also covers the scenic drive from Punta Cana to Sabana del Mar. 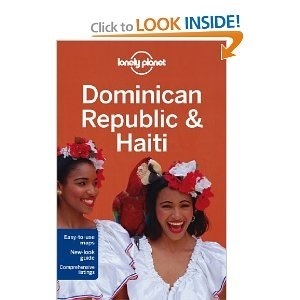 Dominican Places – Other Places Travel Guide is an alternative to the big famous guides and are written by former Peace Corps volunteers – that is by americans who spent a few years in a local community. It can be a challenge to find a good map once in the Dominican Republic. Dominican Republic Adventure Map can be ordered at Amazon and is definitely good investment.